About fifteen years ago I attended a meeting at city hall on passenger rail. The presenter Transport 2000 and the proposal was modest. About $25 million to refurbished Budd RDC cars, run them in and out from Bedford during rush hour only. A rep from Metro Transit was on the panel, but was a reluctant participant. His argument was summed up as “if you are going to buy the damn things, make sure you replace my aging bus fleet first.” Point taken, and HRM has largely done so since. Fast forward to 2011. A revised version of the same proposal is back on the table. February 1 a report went to Council contrasting the three options of Bus Rapid Transit (BRT), rail, and a fast ferry. BRT is probably not going to happen as the buses get caught in the same congestion as the cars. It’s down to ferry versus rail, and most expected the ferry to win hands down, especially as rail in the past has been price as high as $110-600 million. The report says the ferry would run from the current Halifax terminal to the Park and Ride on Hammonds Plains Road via a terminal in Mill Cove in Bedford. It will take about 43 minutes on a normal day, 10 minutes more on a stormy day. The ferry startup cost is $36 million, and $4.03 million per year to operate. A train would leave the current train station and stop at Mill Cove. Along the way, though, it would stop at Mumford Road, the old West End Mall, and Rockingham. It will take 38 minutes to service all four stops and then get riders to the same Park and Ride. This service would “require” a shuttle service from downtown. The proposed startup cost is $26 million, and cost $4.25 million to operate, including the “shuttle service” at $253,000. So the report says HRM could have the starter set of a municipal rail system for $10 million less than the fast ferry, and rail will cost the same to operate each year. The main argument for ferry and against rail is total lifetime cost. The consultants say that the ferries will last 30 years and need to be replaced, the rail cars 20. This means that the rail set needs to be replaced three times to the ferries two times over a 50 year span, and that drives the total net present cost of ownership and operations way up on rail, making the ferry the seeming winner. In the UK rail cars are generally depreciated at 30 years. As an extreme, the Montreal Metro is running cars that are 47 years old. To be fair, our current slow ferrys are well past 30 years old. The proposed supplier, Industrial Rail, basically completely rebuilds the engines, drive train, trucks and interior of the Budd cars. If you change the number to 30, then rail is the clear winner. But even so, rail has other advantages. One of the things missing from the staff and consultant analysis, and understandably so, is the inter station traffic, the change in patterns of usage. This is hard to predict and model, as we saw with Metro Link in HRM. The day the service from Cole Harbour was launched, it was full and needed to be expanded. Rail may be the same. The number of travel combinations between two ferry stops is two. Between four train stations stops the number of point-to-point trip possibilities rises to twelve. If you add a fifth station, at Dalhousie, or say MSVU, it rises to twenty possible trips. The rail won’t be used just to get in and then out of the downtown. Rail can be expanded for less. A ferry costs $8.5 million. 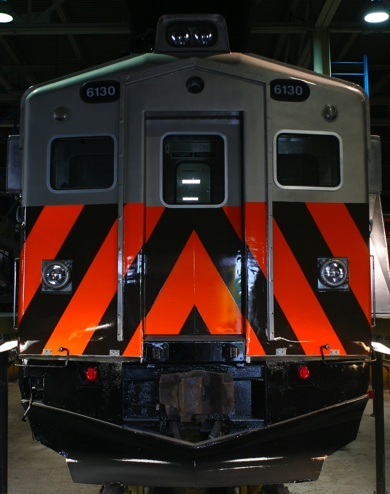 A refurbished Budd RDC costs $2.4 million. Slow incremental realignments of bus hubs could be made to line up with rail stations, for example, Halifax is already about to build a new Mumford terminal, it could be a bus/rail hub, and save on construction. Another argument is rail “does not go where people live.” Bedford and Rockingham are growing quickly, and if the choice is one or the other, the expandable, multi stop service will also drive development in those areas. We have rail lines serving Eastern Passage to Burnside, Truro to Elmsdale to Halifax. We could, with some work, upgrade the rail from Windsor to Halifax. The fast ferry is only ever going to service a small number of locations, Bedford, possibly Burnside and Prospect. We could even contemplating laying new track. In 30 years, fancy trains like the Stadlers – designed to run on freight lines but also glide down rails on roads like street cars – may travel down Hollis, through the old railway cutout, and out to Mumford then Bedford. Thing is, oil is up around $100 a barrel these days. Back when first Transport 2000 proposal was shot down, most wondered if it would reach the $25. Oil keeps going up, and rail and all transit looks more and more attractive. Could rail be the boost that Halifax needs?